Born in Derby, Francis Whitehurst was a travelling merchant at the time of his first marriage. 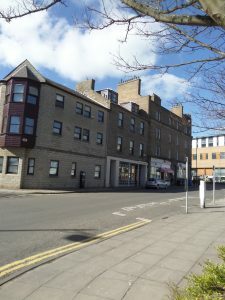 He then settled in Dundee where he established a successful furniture business. On his retiral, the business continued trading with his son in charge. In his early twenties, Francis Whitehurst had arrived in Scotland as a 'travelling merchant.' His travels saw him both in Edinburgh and Glasgow, before arriving in Dundee where he founded his business in 1845. 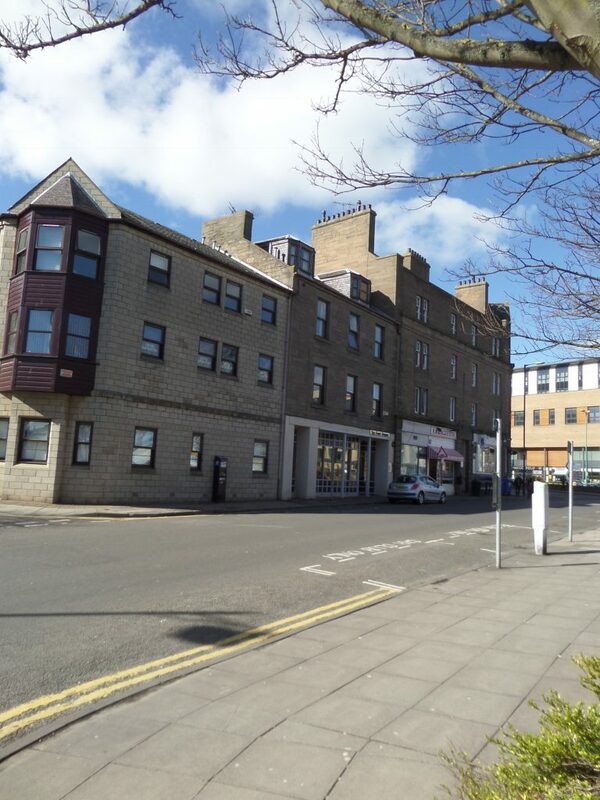 By 1846-47, he had established himself as a 'broker' in South Tay Street. During the 1850s, Francis Whitehurst further developed the enterprise to become a furniture dealer of some repute. By the early 1860s, the concern comprised the supply of household furniture, carpets, family bedding etc. from premises at 28 & 30 South Tay Street. He was to continue at the helm until his retiral in 1872 when his son, Francis Whitehurst Jnr., succeeded to the business, together with a partner, Alexander Wallace. 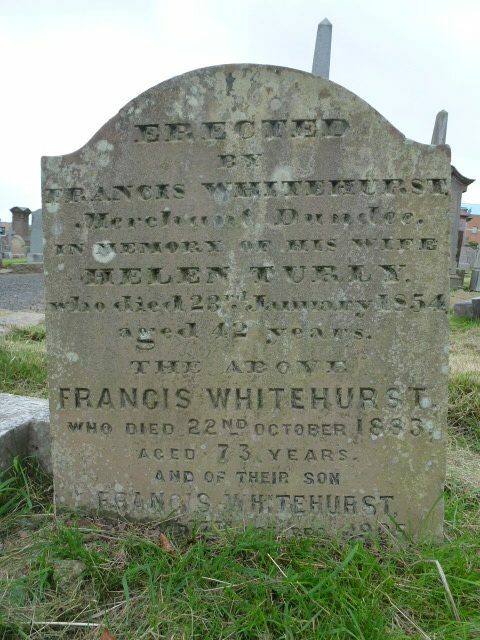 Francis (baptised Frank) Whitehurst was born in Derby, England to Francis Whitehurst (a bricklayer/builder) and his wife Ann Bowler, on 22nd April 1810. He was baptised in St Werburgh’s Church, Derby, where his parents were married 8 years earlier. 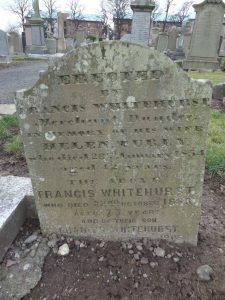 In 1832, Francis Whitehurst, a young man in his early twenties, was listed as a ‘Travelling Merchant,’ when he married his first wife Helen Turner (or Turly). Helen’s father Patrick was a shoemaker in Belfast. 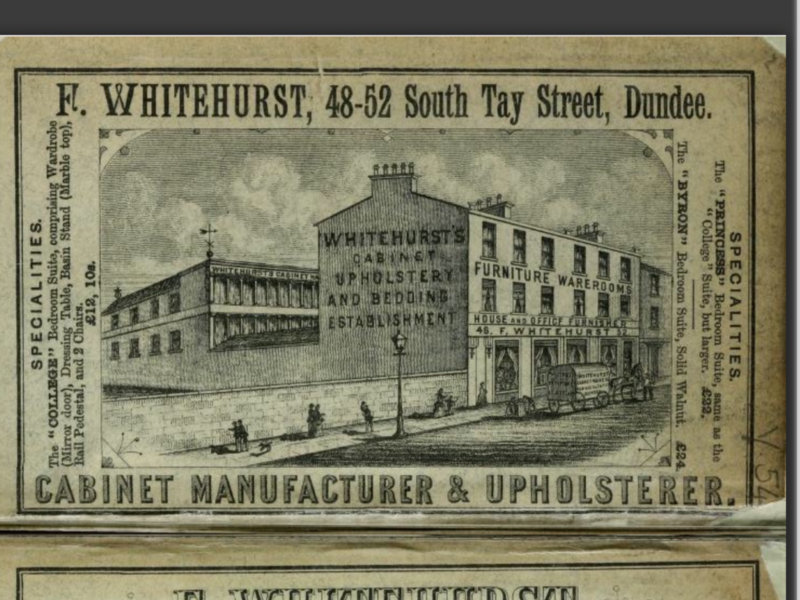 Francis Whitehurst began his furniture business in Dundee in 1845. A blow for this family was felt in 1854 when Francis’ wife, Helen, died of cholera. Four years later, in 1857, Francis, now a furniture dealer, remarried. 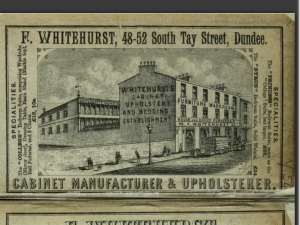 Throughout the 1850s, Francis Whitehurst, based at 28 & 30 South Tay Street, developed a growing business, adding the claims of cabinetmaker and upholsterer to the services offered to customers. The same advertisement also indicated that Francis Whitehurst held a workshop and woodyard at nos. 34, 36 & 38 South Tay Street. Some years earlier, ‘F Whitehurst’s Showrooms’ were listed at 28, 30, 34, 36 & 38 South Tay Street, occupying an extensive part of the west side of the street. Francis Whitehurst Snr. died on 22 October 1883 at the age of 73 years. He was buried in the Western Cemetery together with his first wife, Helen and their son Francis. Derbyshire, England, Church of England Baptisms, Marriages and Burials, 1538-1812. (1810). Ancestry website. Old Parish Records. St Cuthberts. Marriages. (1832) 685/2 420 339. ScotlandsPeople website. Satatutory Registers. Dundee. Marriages. (1857). 282/2 216. ScotlandsPeople website. Census Records. Dundee. (1851). 282/ 73/ 24. ScotlandsPeople website. Dundee Post Office Directory, 1861-62. p.223. Dundee Central Library, Local Studies. Dundee Post Office Directory, 1864-65. p.270. Dundee Central Library, Local Studies. Statutory Registers. Dundee. Deaths. (1883). 282/ 1 453. ScotlandsPeople website. Dundee Courier & Argus, 23rd October 1883. p.4. British Newspaper Archive website. Inscription on gravestone. Western Cemetery. The Dundee Courier, March 25th 1857. p.2. British Newspaper Archive website. Dundee, Perth & Cupar Advertiser, 16 February 1858. p.1. Findmypast website. Dundee Post Office Directory, 1864-65. p.200. Dundee Central Library, Local Studies. Dundee Courier, 5 October 1872. p.1. Findmypast website. Dundee Post Office Directory, 1846-47. p.177. Dundee Central Library, Local Studies. Derby, England, Marriages, 1538–1973. (1802). Ancestry website. Old Parish Registers. Dundee. Deaths. (1854). 282/ 290 72. ScotlandsPeople website. Northern Warder & General Advertiser for the Counties of Fife, Perth & Forfarshire, 24 December 1869. p.8. Findmypast website. Dundee People's Journal, 9 March 1861. p.1. Findmypast website. Dundee Courier, 2 October 1872. p.1. Findmypast website. The information above about Francis Whitehurst has been collated from a range of digital and hard copy sources. To the best of our knowledge it is correct but if you are relying on any information from our website for the purpose of your own research we would advise you to follow up the sources to your own satisfaction. If you are aware of an inaccuracy in our text please do not hesitate to notify us through our Contact page.